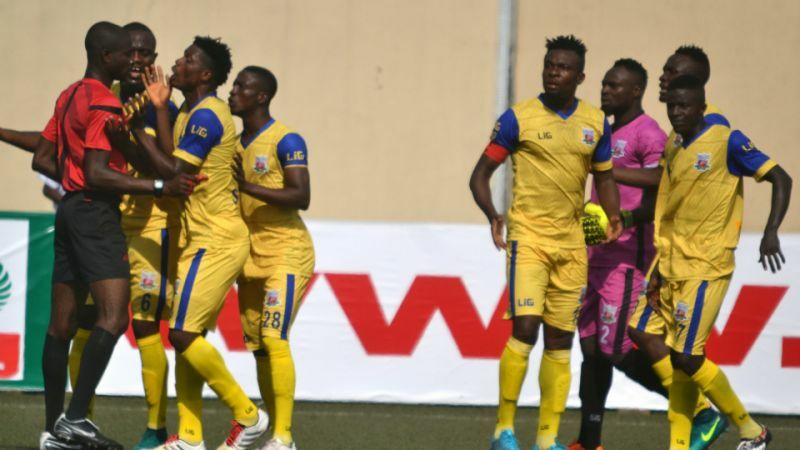 Heartland FC striker, Chinonso Okonkwo has admonished his teammates to still keep their heads low despite their impressive home win over Plateau United which has taken them to second place in NPFL Group B behind FC Ifeanyi Ubah. Okonkwo marked his home debut for the Naze Millionaires with two goals in the 79th and 87th minutes in their 3-0 victory against Plateau United and he told npfl.ng in a chat that they must not allow the big win to make them become pompous with a tie against Nasarawa United in Lafia next on their league roster. Rivers United where he was on loan two seasons ago has prepared him for the challenges ahead. He said he is in Heartland to rediscover himself and also ensure that the Naze Millionaires regain their identity as five-time winners of the Nigeria Professional Football League (NPFL). Heartland has also won the Cup three times in the past but has their stock nosedive in recent years which Okonkwo is keen to help change. “I thank God for the game and I thank God for the two goals scored and I feel good about it,” Okonkwo told npfl.ng. “It has been long the league went on break and in our first game (against Kano Pillars) we made some mistakes in Kano but I thank God that we were able to convert those chances and we scored three goals. We are going to play away against Nasarawa United in Lafia. are going to get a result. believe in the project here and I felt I needed a change having spent such a number of years with Enyimba,” he told npfl.ng. Okonkwo’s two goals put him at the top of the pile of goalscoring for players and he is in line for another matchday against Nasarawa United this weekend.